2P START! Live! : Quick and Speedy Edition | 2P START! 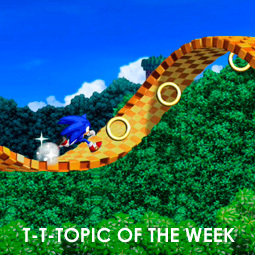 I’m wondering what the topic of this week’s comic will be: Sonic 4, or new Pokémon Z? Werewolves Werehogs are even more everywhere. That was my first guess as well; looks like its evolved form, and it makes sense to expand upon Lucario given its popularity (see also: Brawl). Plus, the first time I ever saw a Lucario, to me it looked like the middle of a 3-stage evolution line somehow (as did Sudowoodo). Looks like a biped Shaymin to me, but I doubt it. How is that even a contest with Ray around? Yeah, in my opinion, that black doom award on the trailer still stands. Can’t take it back for having to make a teaser trailer of a game you’ve NEVER SEEN. That’s just messed up. After listening to the rest of the podcast, I can say it’s not really one of my favorites, but for a list minute fixup/save, it’s still pretty solid. Had fun listening, and Musical Misfit here is some pretty darn nice music that fits my tastes rather well. I think it’s the rhythm ‘n bass-like percussion track in the background that really makes it for me. Some parts of it actually make me think of that Metal Mario boss battle in SSB64. 1. Okay-ish podcast, guys. Jon didn’t care about Comic Talk, nor Needlemouse, which didn’t really leave us with much. The segment that got the most attention (Off-Topic) was about stuff that I, being European, really didn’t know anything about. Of course I do appreciate we got anything at all, it’s just not what I hoped it would be. 2. Why is Mario not better than Sonic? Or heck, most of Nintendo’s other characters. Link, Kirby, Samus…? Personally, I don’t even want to see a Sonic Rush on a console. Sonic Rush really wasn’t very good, if you ask me. They had too few platform elements to balance out the “hold right” sections, and the level design confused me sometimes. Pitfalls weren’t instantly recognizable. 4. 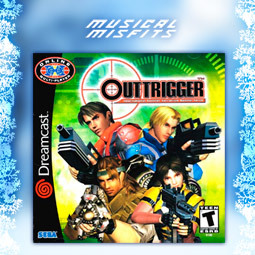 I’ve got a Musical Misfit suggestion, but it’s part of one of the few game soundtracks that has not been uploaded to Youtube yet, and I don’t want to encourage the piracy of it by uploading it myself. Is there a way I could send you this theme privately, Ray? So that, if you pick it, you can just put up one of those Amazon.com links, like you’ve done in the past? 3. Again, I’m happy they are going in the exact direction I’d like to see them go. It’s just a matter of waiting now to see if what they release is as enjoyable as what we want. Looking good so far. There’s just not much to look at. 4. Alright. I’ll send it next week. I just remembered I already suggested something last week. Just to say, if you actually own the game, you dont need to worry about piracy. The OST is sold separately. And I like OSTs, I don’t want to discourage companies from selling those by increasing the piracy of it. So I’m really not refusing to upload it for legal reasons, it’s just a moral issue. Ray! Did you here! NGamer magazine (a magazine in UK) has a reliable source in Nintendo has stated that sonic will be in Super Mario Galaxy 2 (which has been confirmed by GoNintendo) in a an area known as Green Hill Galaxy! if the sonic series goes downhill, there is only one thing to do: mooch of a successful series and company while slowly taking them down with them! I call crap on that. -For one, GoNintendo only confirmed that the Twitter was indeed the official Twitter, not the information contained within. -If there was really an announcement of that magnitude to be made, they probably wouldn’t release the information on their official Twitter, because that’s a great way to make sure you don’t get any inside information any time soon. -It just seems too ridiculous and too much of a “fanboy dream” scenario to be legit. That wasn’t an announcement. It was a rumor/leak. THAT TWITTER IS A FAKE! Ironically, I believe he was doing a play on one of this podcast’s comments of the week. And yes, if it does get comment of the week, I will officially lose faith in mankind and declare that all cake is indeed a lie. @Talduras: thank you, you were the only one to understand the joke. i mean jeez everybody, i was only using the joke from the podcast as a way to spread information and get a good laugh, chill. @kvb: Meh, poor word choice I guess. @TheLupineOne: It has actually been confirmed as their official Twitter, so that part is legit. It’s the information that’s rumor/crap. @Doopliss: It was on their Twitter. @Supersonic24: What would even make you think he would? Although it would be interesting to hear somebody actually try to verbalize the poor grammar. Wow, I really had like nothing to say this time, but I do agree with Ray about the trailer, it was still a stupid idea. Short and sweet podcast, I suppose. It actually blazed right past me. 1. It’s understandable that Sonic 4 could either be good or bad. But Ray, have you taken a look at the All-Stars Racing? They just released a demo today, so you can finally see how the actual gameplay holds up. 2. Question for Jon: Do you still have the rewrite for Billie Jean? The one you referenced on the last podcast you were on. I was talking to some friends and family and now they want to hear it. 3. I agree that one song should not determine a videogame’s sales, etc. However, I look at Final Fantasy XIII differently now that they switched the theme song to Leona Lewis. I watched the trailer synced to her song and it just doesn’t work for me. It actually hinders my perception of the game. 4. I recently stumbled upon this slightly old article and started laughing. I bet the guy who proposed via Mario got the first one. 5. While I’m sure it’s nothing, best wishes to Mrs. Harding. Hope she’s doing alright. 1. I did get a chance to play the demo. fun stuff, and everything felt pretty solid. I’m certainly looking forward to its actual release now. Good show, but I miss hearing Tim’s monotone voice. No offense to Jon, of course. Ray, maybe when the new Zelda Wii comes out this year you’ll fall in love with Link! (It’s supposed to be really good) I personally think he’s one of the strongest characters ever created. He’s not just as good as his weapons, and he doesn’t have an annoying voice! Think about it for me, Ray. p.s. You were completely right about keeping the Black Doom award for the Sonic trailer. Jon doesn’t have enough of a reason to get rid of it. …Sorry Ray, but I just can’t give my NPG today. It’s more of a: IDLYSAC”P”TG (I didn’t like your short and crappy “podcast” today guys) I loved the last episode with you and Jon, but this one was just… empty. You barely talked about Sonic 4, I expected your Black Doom Award to go to the whiny fanbase (if you don’t know what I’m talking about; the classic fans are the ones whining because they used Modern Sonic in stead of the Classic model, seriously, those “people” deserve a Black Doom Award). I didn’t like how Jon gave SonnikuWii Comment of the Week because he said something completely out of context, even though I mentioned it first. The podcast was much too short, sometimes I’m not even satisfied with 40 minutes of hearing your Vanilla voice. I don’t want to sound like one of those “WHERE’S MY 35 MINUTE LONG SHOW!?! ?” “people”, but this definitely wasn’t worth the week long wait. The first thing I thought after watching the trailer was “I can’t wait for the next 2PLIVE episode! I’m disappointed this week. 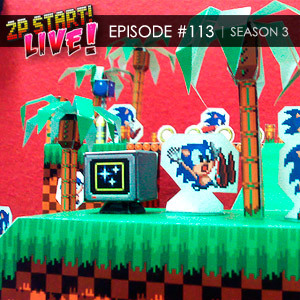 Can’t wait until next week’s show where you hopefully go more in depth on the Sonic 4 talk. Best of wishes to Tim’s wife, hope she gets well. Someone else recommending Touhou music? YES 😀 Though I have to point out that “UN Owen Was Her” is one of the most famous Touhou songs ever, if not the most famous. It’s not an exaggeration to say that it has hundreds of unique remixes with more still releasing (which is fairly impressive even for Touhou music’s standards), so it’s anything but lost in the shuffle over time. Wait, I think my fanboy rant just shot down a decent chance to get a Touhou song onto 2P Start Live — oh the irony. Touhou has some of the best music in video games, yet still isn’t recognized as much as it should be. If I randomly told any gamer “What’s your favorite Touhou song?” I’d probably get a blank stare. So I’d say it was lost enough to count. I guess it’s up to Ray to decide what constitutes as “lost” — if it’s based on the general gaming public, then any Touhou song would definitely count; if the games’ underground fanbase is a large enough factor though, then it would easily restrict it to mostly Touhou 1-5 songs. Though the earlier games do have some nice songs for their time, my all-time favorites include the themes of Flandre, Reisen, Remilia, Yuyuko, Alice, Suwako, and Prismriver (roughly in that order), all of which are from the later and more famous Windows games. (I won’t spam with links to all of them, but a Youtube search of the character name plus “theme” should take you to them). 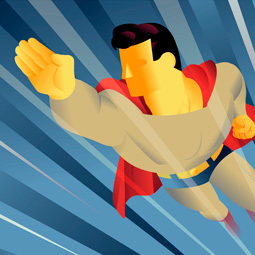 Find Ray a new…video game hero. If not for the context, I could have swor he was going to say girlfriend. But seriously, nice Podcast considering the circumstances; I came in not expecting much at all upon seeing the title and the description given on Twitter, but ended up enjoying the show as always. I hope all is well with the Hardings! Musical Misfit suggestion: Faint Dream, Inanimate Dream from Touhou 4: Lotus Land Story. Thanks for Comment of the week guys. Great Podcast, Maybe Jon can take Willi’s place as the 3rd player of 2p start. Hope everything is going well with the Hardings! Actually, this was one of the longer Musical Misfits. 4-minutes long. I really wish I didn’t listen to that podcast, since most of it was Jon insulting you. Sure, most of it was about a blue hedgehog that shouldn’t exist anymore, but come on, by the time it was over it was more or less beating a dead horse. WE KNOW RAY HAS A SOMEWHAT UNHEALTHY OBSESSION WITH SONIC, THAT WHAT MAKES IT FUNNY! I do like the “Find Ray a new Videogame hero” segment. 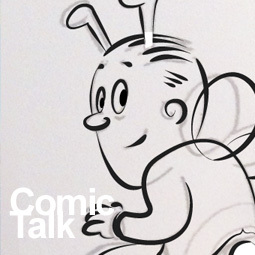 Although, for some reason Comic Talk didn’t have to deal with the comic all that much. Mostly how it was a mixed bag with good art and it segwayed into the Comment of the week about how Willi needs to make a comeback. I noticed there were no grave risers this past comic so that also made things too short. Sometimes it is better to have none of a good thing than any of a bad thing. I think Sonic has become for Ray what Heroes of Might & Magic has become for me. Ironically enough, I believe we both lost faith in our respective favorite series’ near the late 90s. It was okay… I noticed Ray had an oh my God in there instead of the usual oh my gosh, but I’m okay with that anyway. I would say that Master chief is different from Sonic. You have to admit that Sonic isn’t really that great, but he is a character that you can obsess over. The MC just isn’t someone to obsess over. Most FPS characters aren’t. They are in the game enough. I agree that Mega Man and Zero are worth obsessing over, but I think Sora is annoying, Cloud only really had 1 game (and it is unlikely he will have many in the future,) and who is Noctis? My personal pick would be Kirby. Oh, he has something to do with FFXIII. I intentionally avoid all information I can about RPG’s I want to buy in the future, so I naturally would have no idea how Noctis is. Despite some of the negative comments on this Podcast, I’m going to say NPG. Any time the regular formula of something you enjoy is changed (in this case, both Ray and Tim in a podcast), you’re making a gamble. Yes, the previous podcast with Jon was better received, but you have to keep in mind that this was something very last second for Ray to handle. I can see some validity in what a few said, that no podcast would have been better… but he did the best he could and strove to keep their schedule and please the fans. Personally I was pleased with the length of the podcast. When I saw it pop up in my iTunes, my first thought was “Wow, that’s longer than I thought he would make it.” Sure it’s shorter than the majority of previous podcasts, but I honestly expected something closer to 10 or maybe 15 minutes. Yeah, I wouldn’t go so far as to say that it would have been better to go without a podcast. It was worth getting my podcast thirst satiated, even if it wasn’t up to the finest quality. Some podcast just go better than others, and it’s a hard thing to predict. After re-reading my message, I think I may have given the wrong impression. I’m not saying that I agree with those that said “no podcast” would have been better, just that I can see how some people might say that. Nice (but too short, though I understand why) podcast. 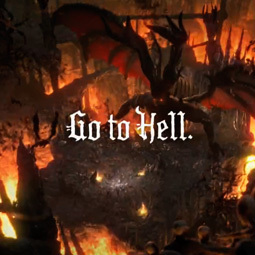 One thing I found funny was the Dante’s Inferno commercial. I just watched in on online and at the end it said “Go To Hell.” When I saw it during the Superbowl, it said “Hell Awaits.” Weird. That had something to do with CBS not allowing the tagline EA wanted, I believe. 1. Hope there is no real problem with Tim’s wife, and if there is any problem get well soon! 2. I liked this podcast. Why is everyone hating on it so much? It is far better that several podcasts in the archive. Perhaps not quite up to par with recent podcasts, but it was entertaining. 3. It is true that the Master Chief is a shallow character in the games, but in the books there is a lot more character development. 4. I agree with Jon that the needlemouse trailer team had to have more info that they let on. I also have to point out that it was a teaser trailer, which usually don’t have much to do with the final product anyway. Teaser trailers are the very definition of an empty promise, and you don’t need much information to make an empty promise. Still deserves a BD, though. Oh, I forgot. Ray (and Jon) you are wrong. That Dante’s Inferno commercial was crap through and through. Bad music choice, animation that just didn’t look right, terrible music choice, and a complete lack of style or anything the seemed even slightly interesting. 2. Better than which episodes? I listen the archive regularly, and I really can’t think of a single episode I like less. Mostly just because the other episodes have been that good. I even thought Don’t Listen was hilarious. I think that most of the early episodes are not very good, for example. Beyond that, I cant think of a specific example, but I don’t think it was a bad episode. I guess its an opinion thing. Sorry about that spasm, I was just really excited and really tired…But it did get me a comment of the week. Sorry to whoever should’ve gotten that. Anyways, pretty good podcast. Could’ve done with more Sonic, but Jon really didn’t seem into it, and I’m sure Tim wouldn’t have been much more. Hope everything is going well for Tim and his wife. Can’t wait until Thursday! I wonder what Ray has to say about pikmin. Well then again… I like pikmin too much to see Ray deny them. It would be too emotional for me. Anyway. Good podcast! Well Maybe I’m saying that because this is the first one I’ve seen. Well It looks like I’ll have a LOT of catching up to do…. I enjoyed Pikmin, but I thoroughly enjoyed Pikmin 2. So I’m looking forward to what they have in store for the third game. Well, apparently I am a high school girl cause I loves me some pikmin. Pikmin’s for Schoolgirls? What, you mean like Hikari and Hoshi? @CKcheeseboy: Yes, that would be bad. I thought the podcast was kinda good. I feel like if it went on for any longer then it could have been worse. Also, I enjoy Jon Watts on the show. black doom is my videogame hero i have a life sise carbord cut out of him in my room. I wanted to take a moment to thank everyone for their honest feedback. I oftentimes worry that we are getting overly praised for the content we deliver so it’s nice to see we are not actually free from criticism. It’s a bit refreshing, although it obviously has quite a bit of bite. Just remember, this was only a quick filler episode, and Tim will be back next week for our usual stuff. I don’t really believe I wasted anyone’s time with this show, and we did more in 16 minutes than many podcasts seem to accomplish in an hour, but I’ll be a little more careful with what I choose to do in filling a gap. Thanks everyone. And I’d like to thank you for taking our feedback to heart. I think that’s something we might be taking for granted. I was listening back on an old podcast (#60 to be specific), and noticed that you guys hit on the very subject surrounding the reaction to this podcast. Pretty interesting considering all of the comments above and the circumstances of the podcast…I recommend everyone give it a listen if you haven’t already. HEY! HEY! ZOMG, THERE’S TWO BRAND NEW 5th GEN POKéMON! Please make sure they get a mention in an upcoming comic, or the next Podcast! I suggest Link as a new hero, just because there is more than one of him in the timeline. If you didn’t like Wind Waker’s portrayal of him, there is always the one from Ocarina of Time, or A Link to the Past. Huh, everyone’s recommending a new game hero for Ray? Must have missed that part of the podcast. Man, Jon was giving Ray a hard time throughout; I felt kinda bad for him. And Master Chief is a weak suggestion for new game hero! How about Samus, Link, Mega Man…or Tingle? One: It doesn’t set the bar very high on the first suggestion so this can be an on-going segment. Don’t want it to end on the first try. Two: I wanted to step out of the realm of Nintendo. You know, give the characters who wear clothing a little love on 2pstart! Three: Ray edited out my first suggestion. Two: "I wanted to step out of the realm of Nintendo. You know, give the characters who wear clothing a little love on 2pstart!" …Wait, what? Those two sentences don’t make sense. For starters, Sonic is very much Sega property and not Nintendo, regardless of what certain games would have you believe. Second, there’s hardly a Nintendo character that’s lacking in clothes outside of Pokemon, Bowser, Donkey Kong, Yoshi, and Kirby. As much as I’d want to believe you meant to say Sega instead of Nintendo, that prospect scares me the most, as it would’ve insinuated you might have actually had some ideas for other Sega characters to recommend. As much as Sega would have you believe that they are not Nintendo, Their characters resinate the most with the Nintendo Universe and it’s audience. And it’s not Brawl that gives the impression, no, it is the following games that do that. Sonic Advance; Sega smash pack; Sonic Advance 2; Sonic pinball party; Sonic battle; Sonic X game boy advance video (Volume 1 and 2); sonic advance 3; Sonic adventure 2: battle; Sonic mega collection; Sonic adventure DX; Sonic gems collection; Billy hatcher and the giant egg; Sonic rush; Sonic rush adventure; Mario and Sonic at the olympic winter games; Sonic and the secret rings; mario and sonic at the olympic games; Sonic riders: zero gravity; Sonic spinball; Sonic 3D; Sonic and the black knight. Eh, Pokemon doesn’t count anyway, since none of them talk or have any character development (excluding the anime, since it isn’t really considered part of the video game series canon). And before anyone says it, yes, technically Mario and Link could fall into that category, but they’ve gotten enough character development that we’ve attached attributes and personalities to them. Not the same for Pokemon as the games go, as they are literally assigned a random personality (called a nature) that does nothing more than affect leveling stats and get the fan fiction people and fan artists turning the gears in their heads. I think you guys should put the name of the weeks comic in the description for the podcast so we know what comic you are going to talk about. Well… there’s no real point in that really. Just take a look at the podcast’s date, and whatever comic was made the week before is the comic they’ll be talking about.